Road for Hope takes in people of all varieties and interests to walk together with the same intentions and purpose. Back in the waning weeks of August, Saint Anselm College awaited the arrival of forty-five students, who, escorted by the Goffstown police, were walking a journey known as the Road for Hope. A 130-mile pilgrimage beginning in Lewiston, Maine and ending at Saint Anselm College two days before classes begin is what is known as the Road for Hope. 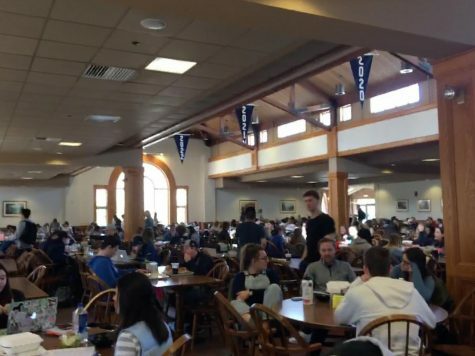 The walk is sponsored through the college’s campus ministry program and is under the new management of the most recent campus minister, Riley Duggan, a 2015 graduate of Saint Anselm College and a two-time Road for Hope walker. Many initially question the purpose of the walk. Similar on a much smaller scale to the El Camino Santiago de Compostela, a 5,000-mile pilgrimage through Western Europe, people walk Road for Hope for a wide variety of reasons. Students must apply and are selected based on their application and interview. The applicants are more likely to be chosen if they have had no prior experience walking the Road for Hope. Once selected to walk, the students must fundraise at least five hundred dollars, all of which is donated to the nine local charities that the walkers visit along the way. The trip itself involves walkers trekking anywhere between 12-20 miles a day while carrying a backpack roughly 20 pounds that contains their clothes, toiletries, and sleeping bag for the week. The walkers rise early with hopes of being on the road by 8 a.m. The participants will walk side-by-side or single file around tight curves in the road. These opportunities give them a chance to meet someone new and talk simply about anything. After frequent breaks and partner switches, the group arrives at their site for the night. They have dinner, reflect on their day of walking, and most importantly, relax and prepare for the physical grind of the next day. 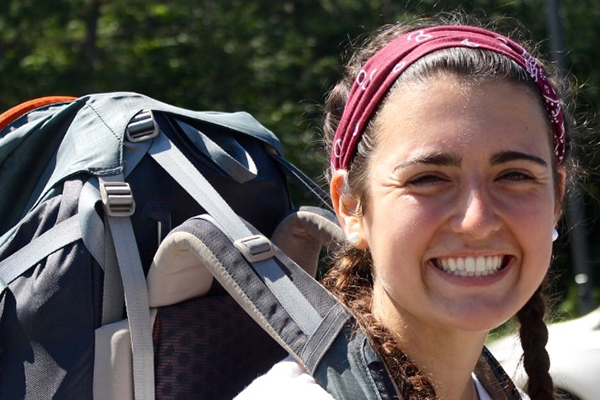 Grace D’Antuono, a Senior at the college, who just completed her third Road for Hope, describes not only the spiritual challenge of the trek but also the mental and physical challenges that arise from walking. Before beginning their eight-day journey, the students arrive on campus to move into their dormitories early and attend a small retreat at the church allowing the students to bond before they begin their adventure. The film follows the physical and spiritual journey of a man walking a portion of the El Camino in Western Europe in honor of his son who has died attempting to complete the formidable journey. The students are directed to ponder how the movie connects to the Road for Hope. A special aspect of the Road for Hope is its ability to lure in people of all varieties and interests to walk together with the same intentions and purpose. Junior baseball player Andre Gaudet shares his favorite memory from this past year’s walk. Although walking the Road for Hope isn’t physically as challenging as traveling the El Camino, the walkers of both seem to encounter a similar profound spiritual impact that remains with them even after they leave Saint Anselm College. Joey Smith, a Saint Anselm graduate of 2018, explains how he has been able to apply the experiences he learned on the road to his everyday life after college. Clearly, walkers enjoy the Road for Hope as evidenced by the smiles on their faces as they triumphantly enter hand in hand to a crowd of people greeting them at the entrance to Saint Anselm College; a group of friends bonded together so tightly over a short eight days really exemplifies the idea that the road never ends.